Our house has lots of cuts, scrapes, bruises, bumps, rashes and eczema; they seem to come with the territory of toddlers and cause the need for a lot of healing salve. Neosporin works well enough for cuts and scrapes, but it is not chemical free and nothing from the store seems to work for the eczema without hurting or containing cortisone which lowers the immunity. 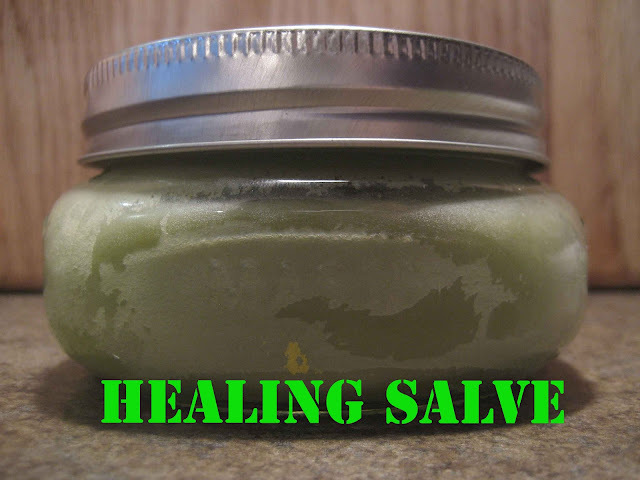 I finally hit on this salve and it works wonderfully. I believe the herbs have a lot to do with it. 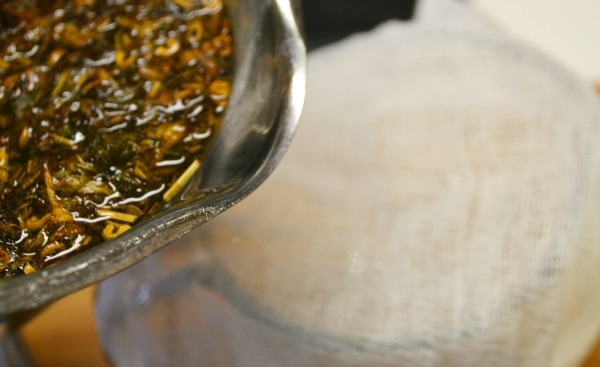 In a medium saucepan – combine the coconut oil, olive oil, comfrey, burdock root & calendula/chamomile. Cook on medium heat in double boiler for about 45 minutes to an hour, stirring often. You can also forgo the cooking method to get more ‘healing strength’ from the herbs by soaking the herbs in the olive oil for 4-6 weeks. 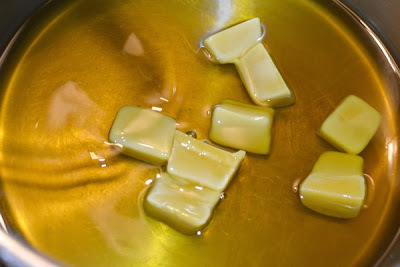 Then you would follow the rest of the recipe, but you would the coconut oil to the olive oil/ herb mix before adding in the beeswax. Strain the mixture using a cheesecloth or coffee filter. Toss the herbs & wipe out any remaining herbs from your saucepan. Add the strained oil back to your pot, turn the heat to low. Next add the beeswax and stir until completely melted. Stir in the essential oil at this point. Once combined, remove from the heat. You’ll want to work quickly now as the salve starts to set up rather fast. Pour into the glass or tin container(s) of your choice. Once it sets up, you’re all done. Each batch makes 16 ounces. Discalaimer: I am not a docter, just someone who has used this and had good results. Do not use this on serious injuries and because the comfrey heals so quickly don't use it on puncture woulds as the outer skin could heal over the wound without the deeper wound, which would not be good. I actually consider this specific to be information on excellent quality plus it appears to be created in order to make the viewer think. I love your writing style as well as appreciate your work. I am a Stay at Home, Homeschooling Mom of 2 young children. I am trying to raise my family healthy and chemical free. My interest range from crafts and sewing to cooking and baking, photography and digital scrapbooking. I am currently learning about herbs and their benefits in skin care and health. I am also a big fan of Trim Healthy Mama and eating healthy.